She had a soft spot for those early Great Depression-era films because they also reminded her of her father, who worked his way through Boston University playing the drums and other sound effects in silent movie shows before World War I. These were family stories that no one had heard when she told them a decade ago, and it was a good thing she shared them when she did. She was always the family historian, a duty that she relinquished to me over time. Not long after she passed along her collection of documents from many generations of relatives, she let me make some audio recordings of her own memories. Within a few years, she would struggle to remember my name. Long after Alzheimer’s consumed her, these recordings — six hours in all — remained a wonderfully intimate record of her life, starting with her earliest recollections. There is no cure for dementia, and only minimal understanding of how it works. Yet for both sufferers and those whom they leave behind, oral histories can provide a useful palliative — a way of preserving a voice and a personality forever, despite the fragility of the mind. 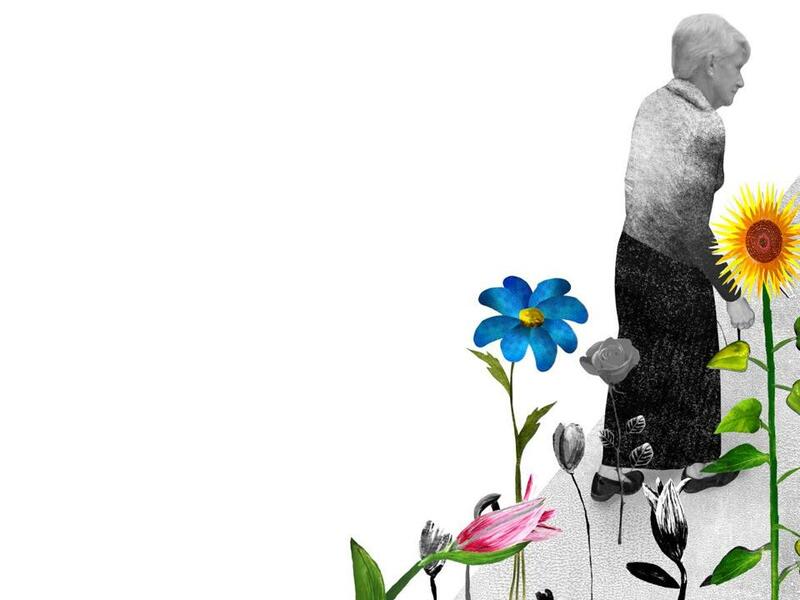 Americans are living longer, and with that longevity comes the specter of dementia. Alzheimer’s is among our costliest afflictions, imposing a burden akin to that of heart disease and cancer, according to the RAND Corporation. Poll data suggest it is the single most-feared disease in the country. Without further medical progress, half the boomers who reach age 85 will have their minds slowly wiped clean of memory, experience, their sense of the self. Call it a slow-moving tsunami of forgetting. Or don’t: A “tsunami” is a columnist’s cliche, Dr. Reisa Sperling told me recently. She’s director of the Center for Alzheimer’s Research and Treatment at Massachusetts General Hospital. “Tsunamis come in quickly,” she says, “and then they go away quickly.” Think rising sea levels. They’re coming soon and they won’t recede. Of course, it’s one thing to die of the disease after 91 years of life like my late grandmother, but Alzheimer’s isn’t limited to the elderly. “It’s a death in slow motion,” writes Cape Cod journalist Greg O’Brien, who was diagnosed with it at the age of 59. His forthcoming memoir “On Pluto: Inside the Mind of Alzheimer’s,” documents with a fierce urgency the realities of having the condition slowly consume him. “One day. . . I won’t return from this dark, icy place; when that happens, I want my family and friends to know where I am,” he writes. That naturally human urge to preserve and record, to testify, is one we should all seize. Even the most detailed family trees, written records, and photographs can be frustratingly sterile. Oral histories are some of the most valuable selfies that we can take. Today, even the humblest of smartphones can record high-quality digital oral histories with just a few clicks. Upload the recordings for free into Google Drive, and the recordings are preserved indefinitely, safe from fires and floods, or brain-wasting diseases. My grandmother’s voice and lively mind, which I recorded on mini-discs that were then cutting-edge, now survive in MP3 files — which are easily duplicated and shared with her great-grandchildren in Australia and western Canada, other descendants here in New England, and generations yet unborn. Preserving just a bit of what made her uniquely human, they’ll last long after our paper records have crumbled to dust.